A classic and cozy midweight crewneck sweatshirt made with a soft organic cotton/polyester/elastane blend; features original art by Geoff McFetridge that’s screen-printed with PVC- and phthalate-free inks. Fair Trade Certified™ sewing. Those who say fish can’t fly probably say they can’t hunt, either. We know better. The Flying Fish Midweight Crew sweatshirt is made of a durable organic cotton/polyester/elastane fleece fabric blend that provides just-right warmth and stretch. 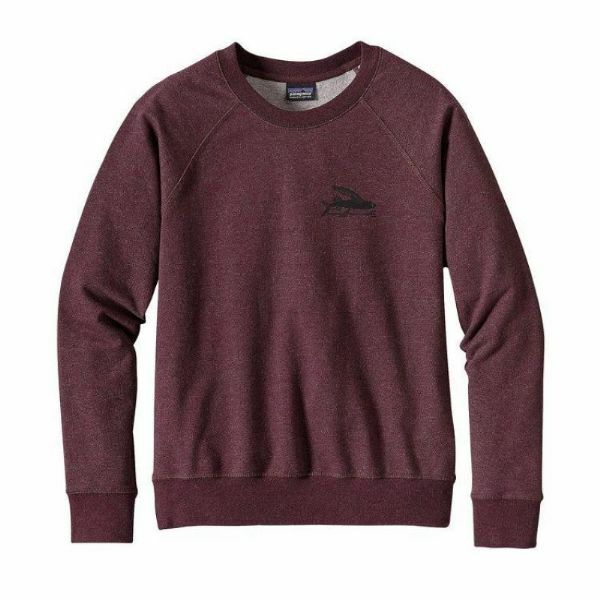 This classic crewneck pullover has raglan sleeves, a modern fit and rib-knit cuffs and hem that won’t lose their snap. Original art by Geoff McFetridge is screen-printed using PVC- and phthalate-free inks. Fair Trade Certified™ sewing.